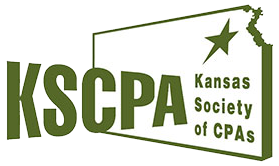 Dunning & Associates CPAs, LLC, has provided the highest quality accounting and tax solutions to individuals and small businesses in South Central Kansas for more than 30 years, and have expanded into North Central Oklahoma as of 2015. Founded in 1980, our firm has grown steadily over the years; expanding our services, capabilities, and staff to offer solutions that fulfill all of your business needs. Once just a CPA and an answering machine, today we proudly employ 17 staff members, each devoted to helping you and your business succeed. We serve a diverse client portfolio, from individuals to not-for-profit organizations to businesses in the retail, construction and medical industries. We understand that each of our clients has their own unique needs, so we work with you to develop a services package that is tailored to your specific requirements. Our experienced and knowledgeable staff will provide you with the personalized service that is our trademark.